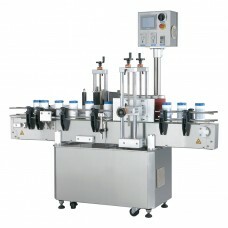 This Wrap Around Labeling Machine is designed for wrap-around labeling on cylindrical bottles and containers. It can be incorporated with a line or operated individually. 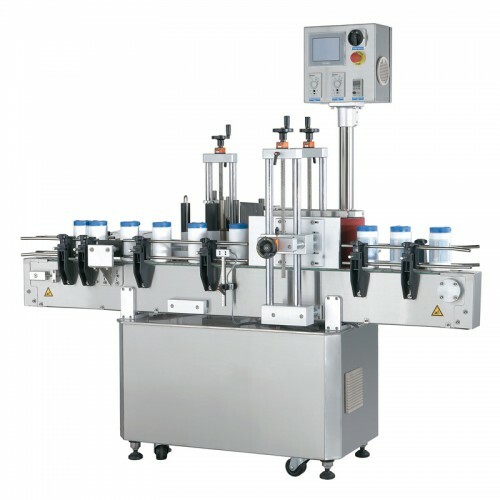 ● Machine meets current GMP standards. ● Japan PLC combine with Proface human / machine inter face LCD touch screen control. ● Japan precision 5-phase stepping motor and driver. ● When the hot foil printer ribbon runs out, this labeler will stop and provide an "error" message. ● LRD-6110 Lion Sensor for transparent labels (USA made).1. Hot Foil Printer for date-coding. ● LRD-6110 Lion Sensor for transparent labels (USA made).